One of the most obvious spotting features of the original tooling for Bachmann’s GP40 included an interesting rear headlight package as seen in the above images of the BN example. The third picture illustrates Bachmann’s Burlington Northern GP40 featuring a silver roofline. Both examples, black and silver roof, feature the same BN lettering and 2070 roadnumber. Though not confirmed, I believe the silver roof examples of the BN GP40 arrives around 1980 in the Bachmann line. This Union Pacific GP40 is a variation to Bachmann’s standard offering of the time with a shiny gold plated finish. 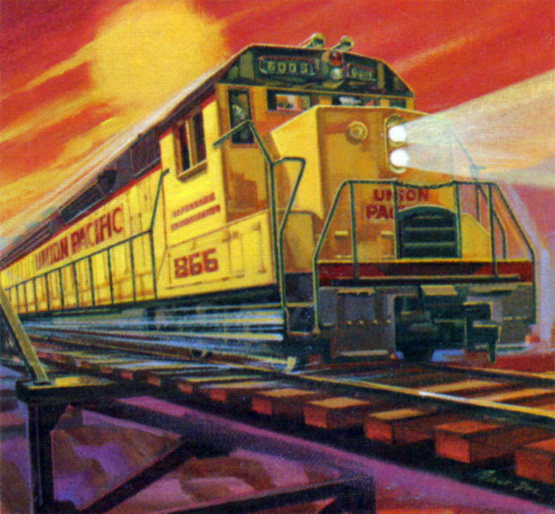 I don’t believe the gold UP GP40 was offered as a separate item, but was always included as part of the company’s Golden Spike train set offerings beginning in the 1980s. The images presented above show the nose and tail of the gold plated UP GP40. 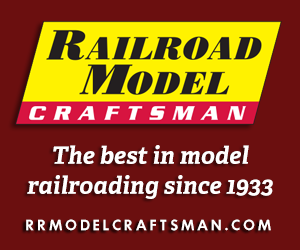 Notice the modification to Bachmann’s original GP40 tooling. The first GP40 models Bachmann offered throughout the 1970s and into the ’80s featured a headlight located in the nose of the unit, this is removed in this variation. The tail of the GP40 lost its vertical light that was mounted on the roofline of the original model. Finally, notice the front and rear pilots have been opened up to allow the swing of couplers mounted to the trucks.